This week we learned that Amazon has acquired Eero, a start-up company that offers a mesh WiFi system. Terms of the deal were not disclosed, but the company does reveal what drew them to the still small, but rapidly growing Eero. Amazon’s acquisition of Eero, or eero in company notation, is being widely reported as another example of their ongoing commitment to the smart home market. Only a matter of months ago in March 2018, Amazon had acquired Ring video doorbell system as part of its smart home ecosystem. However, I believe that the real reason may be more in line with speculation I’ve seen from CNBC reporting – that Amazon is seeking to solidify greater control of the overall system by acquiring their own router solution. Eero’s routers have been noticed by many in the industry as a smart solution. It is also possible that Amazon felt the need to go toe-to-toe with Google, who offers a competing router called Google Wifi. Of all the other smart speaker makers on the market, Google is the one gaining the most ground on Amazon. By acquiring a router manufacturer, Amazon gains more control over the entire experience of getting an Alexa Echo set-up on a consumer’s system. While Amazon has bent over backwards to make an Echo set-up easy, it isn’t always successful for every consumer. This was certainly true in my case, when I couldn’t get my home’s Linksys router to recognize my newly purchased Echo…having to resort to online assistance and copious FAQ file reading at Amazon. I finally did get it working, but the whole process took about an hour – and I don’t think most consumers would have bothered to go through all that. Eero launched in 2014 and was created by founders Nick Weaver, Amos Schallich, and Nate Hardison. Their goal? Come up with a WiFi system that is easy to install, simple to use, and effective across many rooms in a home. While this may seem like a simple goal, the fact is that back then many home wireless network systems fell dramatically short of these goals. An Eero device sells for $199 USD and is said to cover 1,500 sq.ft. The system can be expanded with a device they call a “beacon” to add another room for $149 USD. The company offers a package deal for $299 USD. And Eero also offers a security service for $99/year USD. 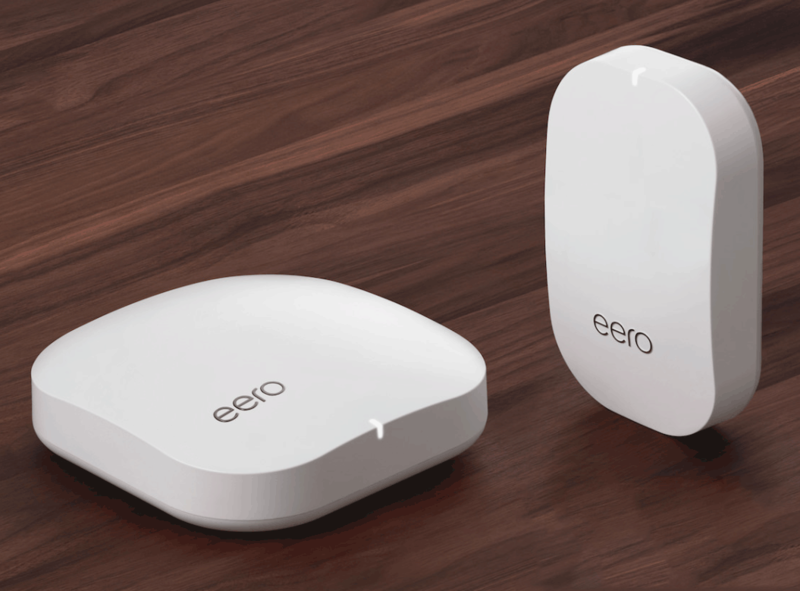 Learn more about Eero at: eero.com.